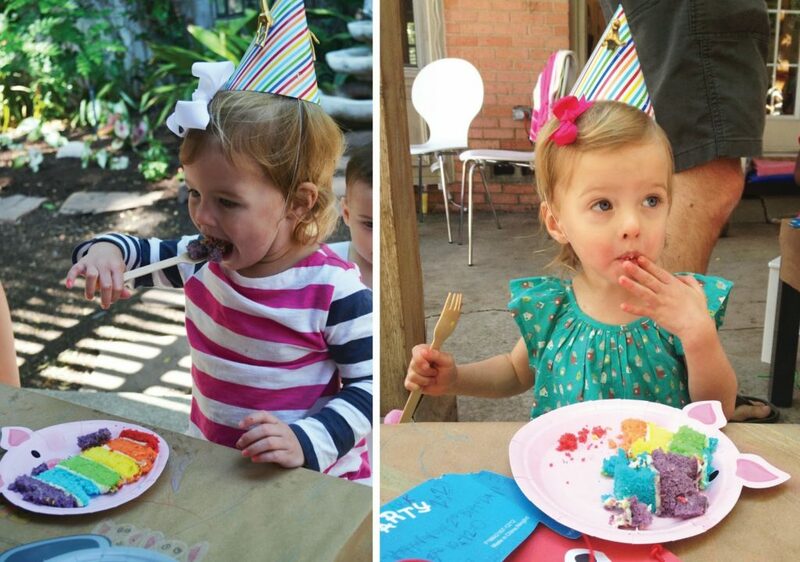 We’re so excited to feature the cutest birthday party for twinsies you ever did see! 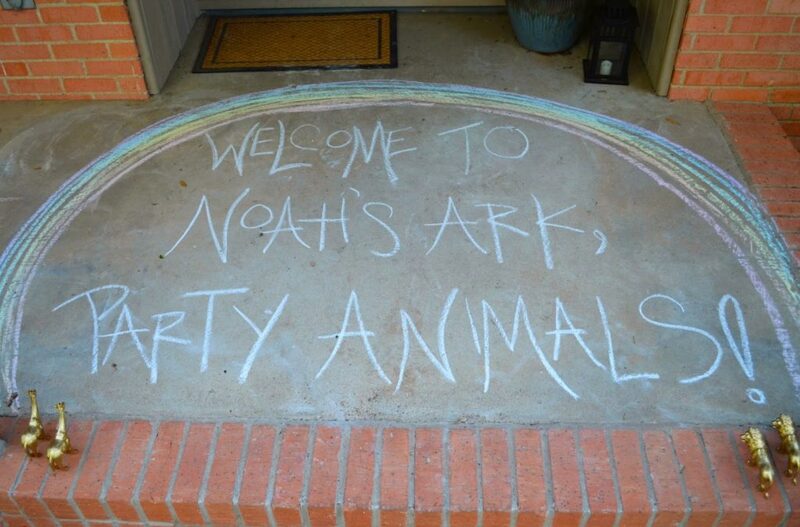 Noah’s Ark Two-By-Two, a perfect birthday theme for twins, right?! 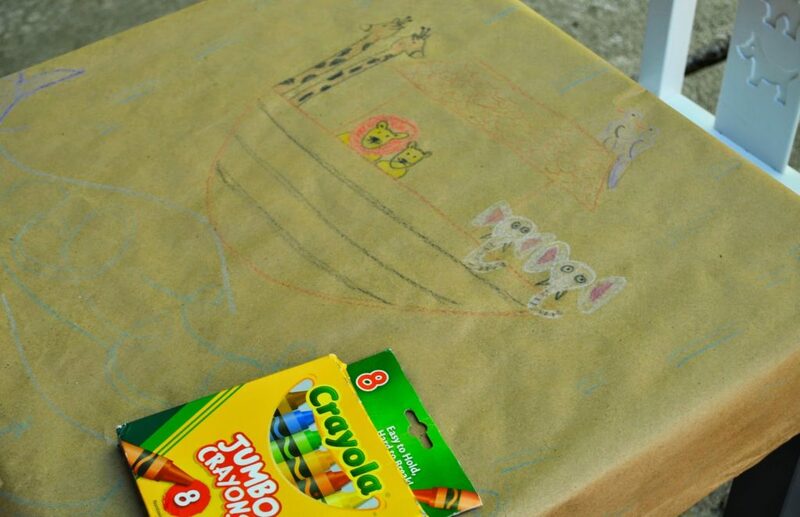 Laura is super crafty and lucky for us, a Love & Lion reader. 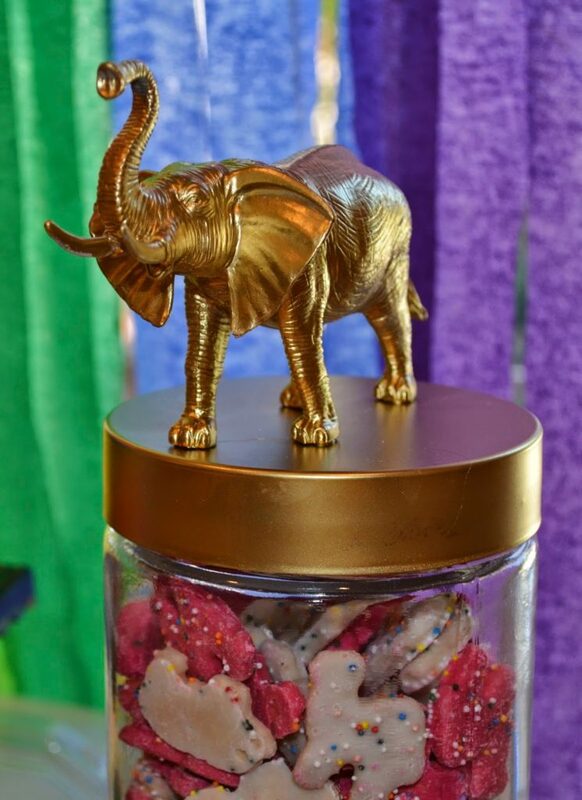 She used ideas from Ari’s animal themed party and took it to the next level! 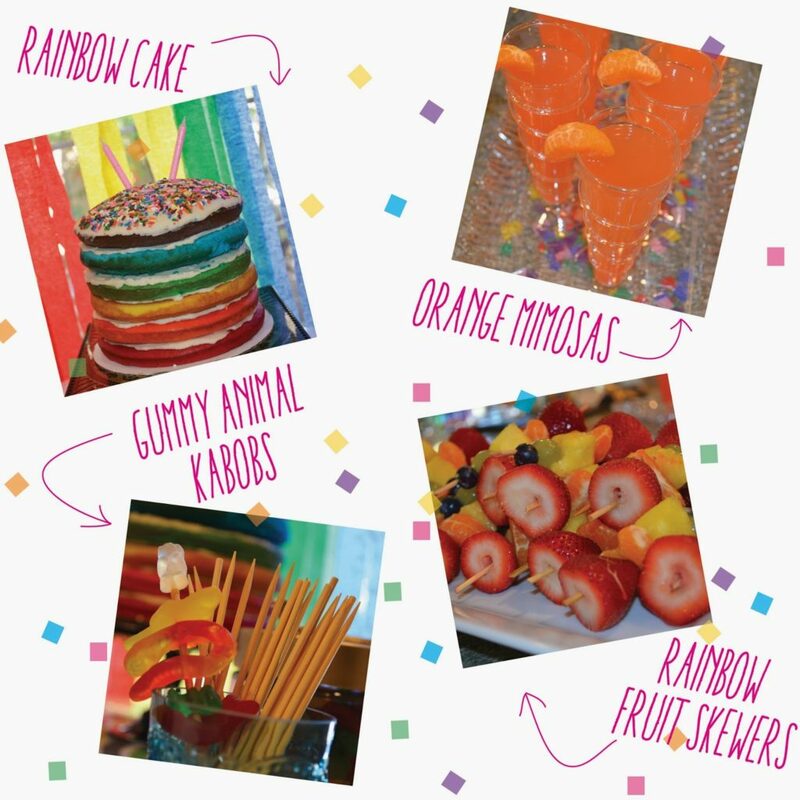 We love all the little details Laura put into her girls’ party to make it extra special. What a good mommy she is! We can’t imagine having twins… this lady makes every day special for her girls, and documents it on her instagram and blog here. 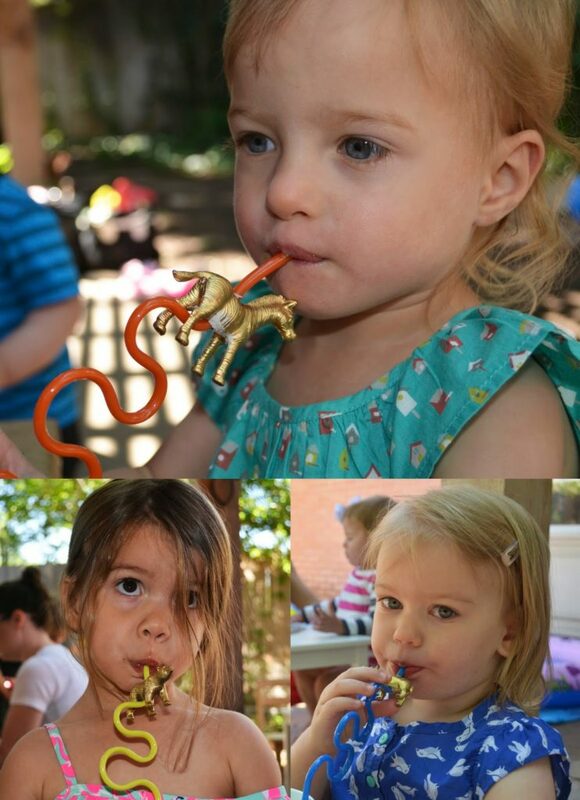 Audrey and Evangeline are two lucky (and gorgeous) ladies! 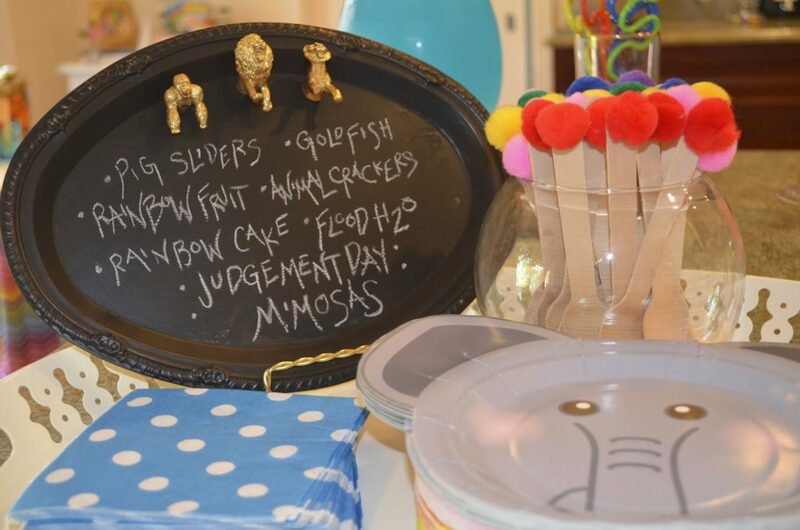 Laura painted an inexpensive tray with chalkboard paint and added these fun gold animal magnets. “Judgement Day Mimosas” are obviously our fav detail! Ha! 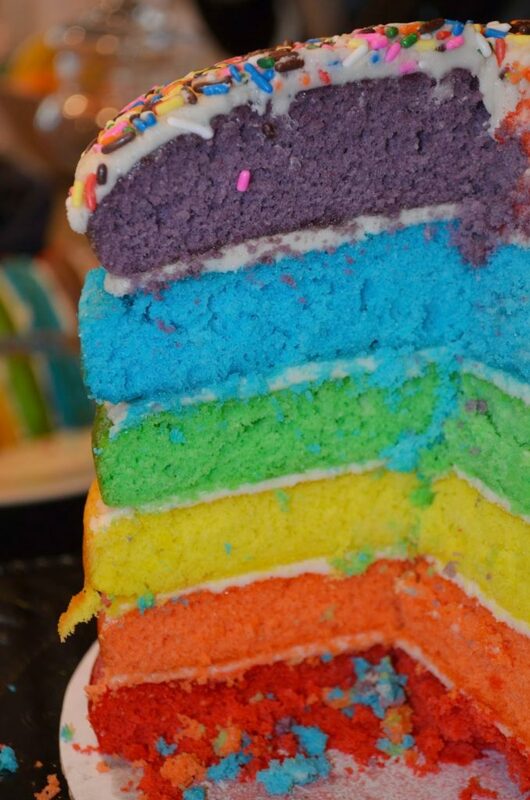 Audrey and Evangeline eating their rainbow cake like little ladies! For the hats, spray paint plastic animals gold, cut in half, and glue. 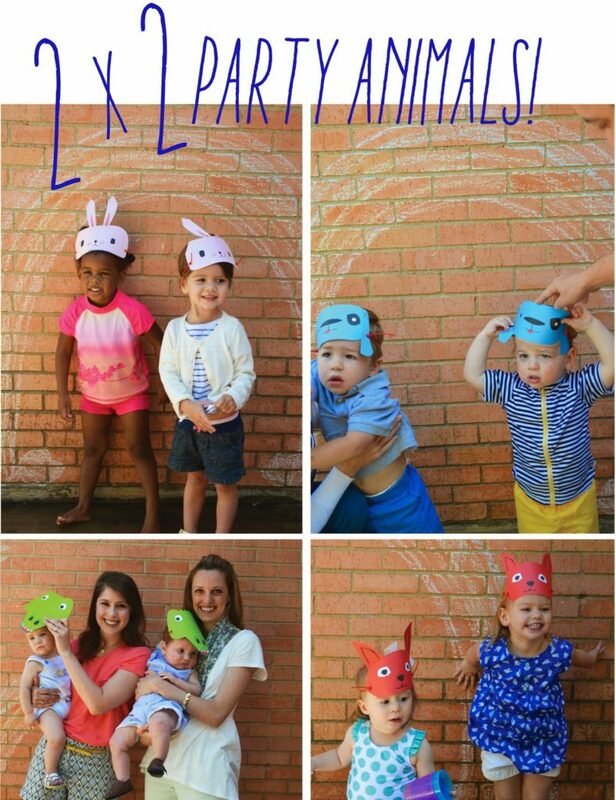 More animal hats and other party decor here. Sipping “flood water” aka blue juice, through animal straws. Laura spray painted plastic animals then drilled a hole for the straw topper. So simple. So cute. Why didn’t we think of this? The party invitations were on the back of the animal masks, and Laura asked guests to wear it to the party. She had 2 of each mask… two-by-two. Genius. Laura simply drew a rainbow in chalk for the photo booth backdrop. 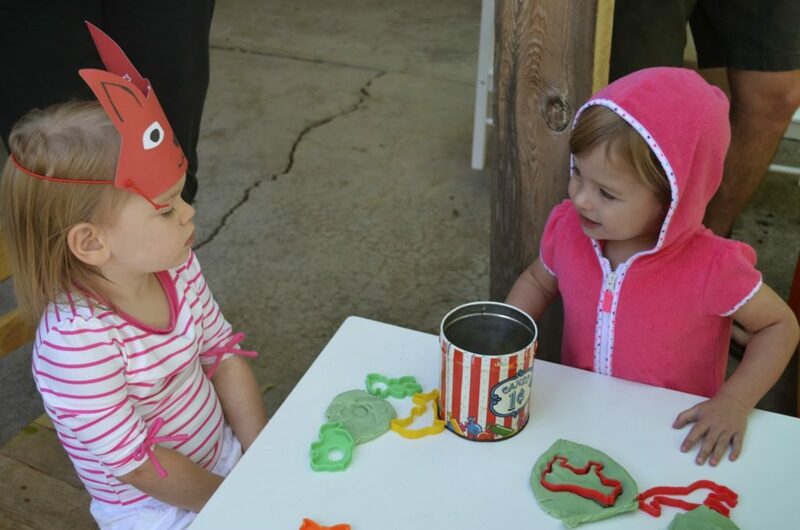 Outdoor activities included crayon-covered tables, baby pools, balloons, bubble machines, play dough with animal cutters, chalk, and lots of cookie eating! The Anderson Family Storybook. Thanks Laura!! You’re the best!